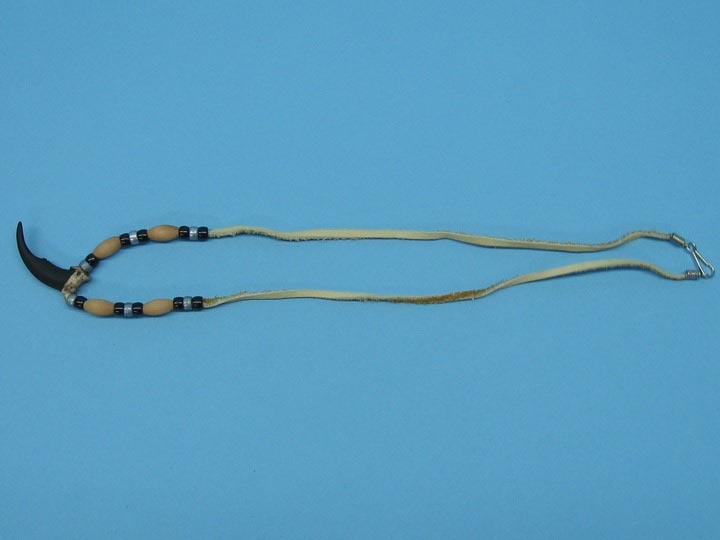 A Mohawk artist on the Kahnawake Mohawk Reservation south of Montreal makes these true-to-life wolf claw necklaces using very high quality reproduction claws cast from the real thing and hand painted. The average length of the necklaces, including the claw, when laid out flat, is 24" long. Bead colors will vary. 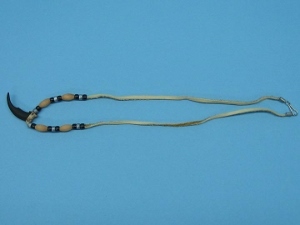 Genus and species (deerskin): Odocoileus virginianus. Wild.